Started 9 years ago, Katy Summer Fest is Katy's ONLY Summer Camp/Activity Expo! A one-stop shop packed with representatives from local camps & summer activities - this event has become a local favorite for families looking for fun, enriching summer programming for their children. 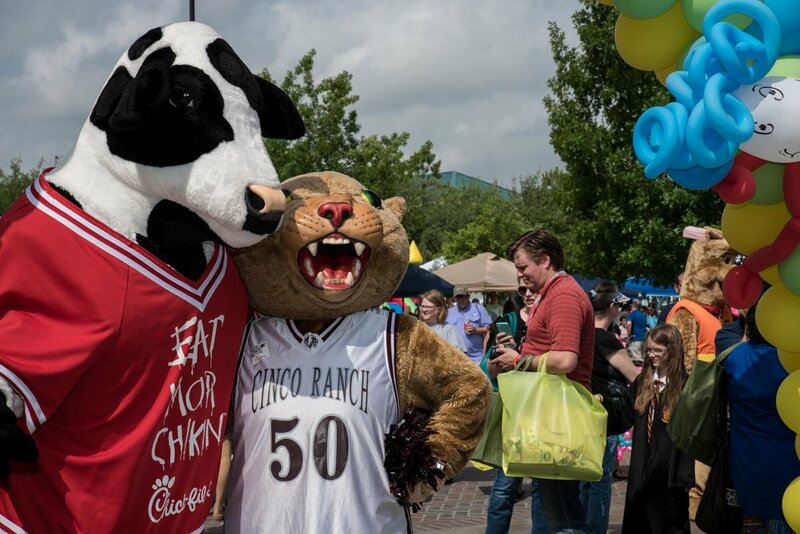 Join us Saturday, April 27, 2019 for a day packed with entertainment, food trucks, kid-friendly vendors, a bounce house, obstacle course, photo booth, Face Painting by Marybeth, balloon twister, gaming truck, Mad science Demo, and make and take lab. Explore the insides of a Fort Bend County ambulance & fire truck & puppies from the Fort Bend County Animal Services Shelter will be on-site for cuddling, and adoption! Don't forget to hop inside the Cinco Ranch Branch Library to view hundreds of artwork and essays submitted by Fort Bend County Precinct 3 Students for the Fort Bend Arts Festival Competition!